Having a definite quality management system, we are readily engrossed in bringing forth a comprehensive gamut of Metal Hex Plug. Plugs available of all sizes as per requirements. It can be supplied in different materials like MS, SS, copper , Brass etc. 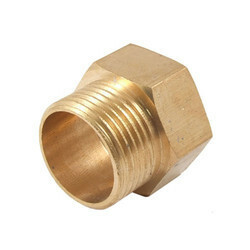 We have been counted amongst the most trusted names in this domain, engaged in offering a standard quality range of Coller Plug. 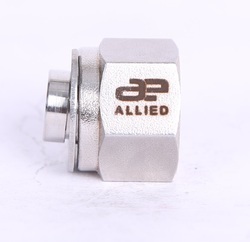 The plug is a key component to the Crystal high pressure access fitting assembly, as the plug body provides the seal in the access fitting, thereby maintaining line pressure. The plug also serves an important function of holding the monitoring equipment which is exposed to the system. We are offering Plugs and Bushings.